Dont see your area highlighted? 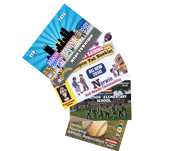 Let one of our knowledgeable reps come to your town and put together a custom card for your group. 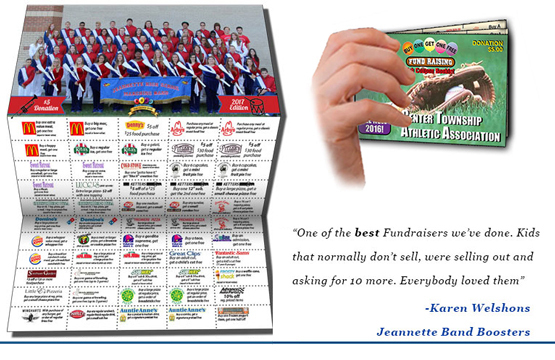 Tab Coupon delivers professionally designed-customizable fundraising discount cards. 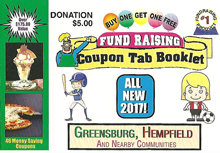 Your Tab Coupon Booklet can include a logo, mascot, schedule, organization/team photograph and whatever else you can dream up. What Tab Coupon Booklet best fits your group? What is a "Coupon Connoisseur?" 1. A person or team who understands the details, techniques and nuance of an art-especially when making high quality fundraising discount cards with the intent of helping non-profits reach their fundraising goals. At Tab Coupon.com, we expertly use our 17 years experience in the art of coupon fundraising to produce a product that everyone can benefit from-executing this requires a certain nuance in the field-that we have. That is why we consider ourselves to be coupon connoisseurs. 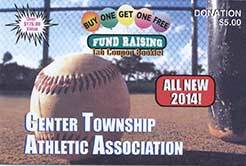 Want to start a Tab Coupon fundraiser?